Who fact checked this slide? Who included it with the article without any links to the original source? Who put that caption on it that claims this information relates to a “cutter charge designed for use with thermite” when it clearly is NOT? Who selectively edited the abstract taking out the mention of the fact that this is a “thermite igniter” for a propellant charge? Who chose an image of a MINING demolition controller which is incapable of being used for building demolitions when CDI has their own software driven system that is? These are serious questions that require immediate retractions for the good of the credibility of Richard Gage, Architects and Engineers for 911 Truth, and the entire Truth movement. UPDATE – new update at the end of the article…. FlameWars! Richard Gage’s Architects and Engineers for 9/11 Truth seems to be spreading more and more disinformation since Gregg Roberts has come on board and their latest foray into anti-detcord disinfo (Tom Sullivan section starts at 1:34:35 into the video) with CDI (primary suspect for the demolition of the Trade Centers) explosives loader Tom Sullivan, is no exception. Tom Sullivan is now being paraded around as a former CDI employee, someone who took photos and “loaded” buildings with explosive charges for demolition. But in this video “interview” with Richard Gage, his story is wildly inaccurate as he contradicts himself over and over again and his real purpose (aside from undermining the controlled demolition investigation of 9/11 (much like Steven Jones’ “thermite” saga)) seems to be to spread deliberate misinformation about det cord to real Truth advocates. Sullivan and Richard Gage are obviously reading a script, and Sullivan keeps tugging on his ear in a classic “tell” (lying giveaway) while deliberately misleading the Truth community about detonator cord and other aspects of controlled demolitions. No one in the Truth Movement seems to notice that little fact? And Gage doesn’t notice it either? In fact, Sullivan produces a W2 form, from 2001, showing how much money he made with CDI during that time. But before we dive into Tom’s scripted show, lets take a step back for a second and take a look at the other cognitive infiltration examples of AE911Truth that lead up to this obvious new example. Mr. Robert’s cognitive infiltration career with the 9/11 Truth movement started with the controlled opposition site run by Victoria Ashley and Jim Hoffman. Their focus was to undermine any investigation of what hit the Pentagon on Sept. 11th using official Defense Department “evidence” as the basis for their claims. Gregg Roberts was the brains behind that operation and he and his “megaphone” type repeaters were very successful in making Truth advocates feel compelled to stop talking about a very incriminating part of the evidence surrounding the events of 9/11. Even to this day, even after all we now know about Hoffman and Ashley being controlled opposition, Truth Advocates are still reluctant to address the glaring problems with the official story of Flight 77 and the Pentagon. And no one seems to mind the fact that Gregg Roberts was their handler. Remember that Jim Hoffman is the guy who gave us the “1.8 Million Ceiling Tile Bombs and Racing Illegal Immigrants” theory of how Steven Jones’ “nanothermite” was used to bring down the Twin Towers. His “plausible theory” was so stupid that I was compelled to write to him about it. He released his “plausible theory” the same day that Jones’ ”nanothermite” paper came out, which means Gregg Roberts must have gotten his disinfo agent friend, Jim Hoffman a copy of the paper well before it was published. Back in May of 2008, my conversations with Jones moved beyond the 911 Blogger thread that I put the article up on. In an email response to me, he expressed an interest in looking into this further, but then he referred the matter to Greg Roberts and my discussion about the subject went forward with him. At long last, after being told that they were really more interested in pushing for political or legal action, Greg Roberts told me something quite amazing in one of his last emails to me. Let’s just focus on the fine Cass Sunstein type work Gregg Roberts has done since snaking his way into Architects and Engineers for 9/11 Truth. 1. Since Gregg Roberts’ joining AE911Truth Richard Gage’s presentations have seemed to have centered a great deal around the scientific red-herring ”thermite” and all it’s variations. 2. Gregg Roberts seems to have brought in Dwain Deets, a man who was heavily involved in not only the development of the drone aircraft industry, but also was involved in the testing of remote piloted systems for commercial aircraft during his 37 year career with NASA and the Dryden Flight Research Center. Deets has also just helped revived the long dormant “unattainable airspeeds” disinfo theory which was started by John Lear, a guy who claims there are bases on the moon, that remote viewing was possible, promotes the “ray beams from space” theory, and poses wearing tin-foil hats on his website. Retired Aerospace Research Engineer. 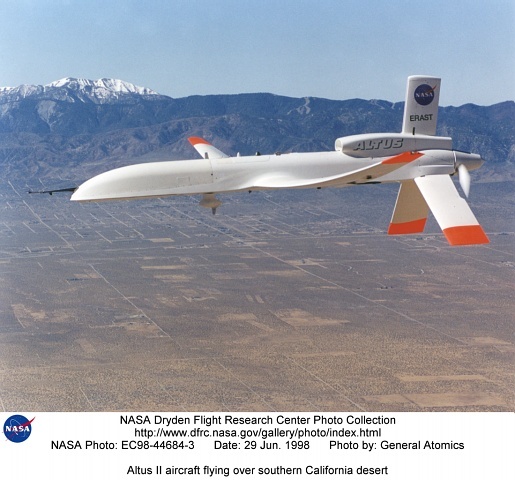 While at NASA Dryden Flight Research Center, held positions of Chief, Research Engineering Division, Director for Aeronautical Projects, and Flight Research Program Manager. The following image is taken from a paper co-written by Dwain Deets which deals with how to pilot commercial planes… by remote control. The next image is taken from actual tests where they flew jumbo jets, commercial sized planes, by remote control, in order to test the crashing of them… but they took them off and flew over the crash site 60+ times by remote control prior to crashing it. Isn’t it odd that someone from the Dryden Flight Research Center, with a background on the development of remote piloting of airliners and the creation of the drone aircrafts, would be involved in a movement in which many members feel the planes that hit the towers were flown by remote control and some even believe that a drone of some kind was used to hit the Pentagon? Of course Dwain Deets never really talks about these things. You would think he could provide us with some valuable insight such as which companies had the kind of technology that would allow them to remote pilot 757s. Did Dov Zacheim’s company have that technology? Did Dwain Deets ever meet with Dov? Was there really a Global Hawk that went “missing” just after 911? What happened to that one? Questions like these Mr. Deets never seems to answer for us. Too bad, huh? Seems like he spends most of his time making sure such questions aren’t answered. 3. Stephen Jones, connected with Gregg Roberts in many ways including the “Nanothermite” paper and an email correspondence I had with the two of them, comes out to give a very rare presentation at the AE911Truth press conference in which he deliberately embarrassed Richard Gage and undermined the credibility of the organization when he started talking about man-made earthquake weapons. So now that I have shown you that there is a pattern of deliberate cognitive infiltration of the Truth movement at the highest levels, primarily centered around Gregg Roberts, lets look at the new “anti-detcord” campaign Mr. Roberts is obviously behind. Let me explain just how many ways this is a stupid conclusion to reach… yet it is the exact conclusion disinfo agent Gregg Roberts and Tom Sullivan want you to come to. 1. Consider the source – Tom Sullivan is a former Controlled Demolition Inc. employee and by his own admission, was someone who planted high explosives in buildings prior to their demolition for that company. He has already proven he worked for CDI in 2001 by showing his W2 forms for that year, and he also showed his “powder carrier” (demolition) license that he received from the New York City Fire Department on July 9th 2001 which was good for a full year. Once the deal was done and agreed upon on April 26th, the decision to demo the Trade Centers was reached and the plan put into motion. Just over a month later Tom Sullivan gets his “powder carrier” license from the City of New York, and a few days after that Lucky Larry Silverstein ( later revealed on Fox News as having been asking his insurance company if WTC 7 would be covered if they had to bring it down in a controlled demolition) signs the papers and takes ownership of the WTC complex. In short, Richard Gage was “interviewing” a man who worked for CDI at the time of 9/11 as an “explosives loader”, who also just HAPPENED to have a license to do that kind of work in New York City (for CDI) and he also mentions he stopped working for CDI AFTER 911, but lists no projects he worked on FOR CDI during the period of July 18th up to Sept. 11th, 2001. This is VERY dishonest on several levels… FIRST – Tom Sullivan KNOWS that det cord has a HIGH EXPLOSIVE CORE which EXPLODES during the demolition process, so that is why there would be none “left behind in the debris”… yet he fails to mention this fact. He also fails to call out Brent Blanchard on this detail… Why? A lie of omission is still a lie. Det cord has a detonation velocity higher than that of TNT (about 1.6 times the power of TNT by mass). The detonation velocity of det cord (PETN) is 8,400 meters per second which makes it a rather powerful high-explosive. One of the most powerful. It is also very stable with medium range friction sensitivity and traits make it useful in the demolitions industry. With a relative effectiveness factor of 1.66, it is very useful to the industry, in fact. The fact is, PETN detcord is commonly used in the demolition industry to help break up floor sections and concrete pillars and so forth. It is an extremely powerful high explosive, which of course, even Steven Jones’ “nanothermite” paper admits he can’t tell if the “red grey” chips he found (“thermetic material”) is a high explosive or not. And lets not forget that Sullivan never says detcord won’t have been used to connect the wireless detonators to other charges nor does he say detcord wasn’t used. Now, “Keenan” goes on even further and tries to claim that Sullivan suggests that RDX high explosives “would consume itself im the process and may leave no residue”. This is completely absurd first of all because, AGAIN, Sullivan didn’t say that and SECOND… it’s ridiculous. RDX does not “consume itself”. What Sullivan was saying is the CASING of the linear cutter charge would be “consumed” or blown to bits when the charge of RDX inside it exploded… but that has NOTHING to do with a high explosive not leaving a residual trace element behind… a fingerprint, if you will. Sullivan wouldn’t say that because it would be completely ridiculous of him. But, that’s why the “megaphone” invented anonymous commenters on websites I suppose. This also shows you how I believe that this scripted “interview” was to be used in the controlled opposition elements of the Truth movement. Get a “reliable” source to come out and say things that would be “misinterpreted” to mean something else thus trying to steer the Truth movement from actually wondering why people like Steven Jones and Gregg Roberts continually refuse to test the dust they have from Ground Zero for traces of explosive residue like they BOTH suggest NIST do in their “nanothermite” paper. Well, we all saw the demolition itself over and over again. Clearly we see 30 ton beams being ejected from the “collapse” near the top of the Towers as the demolition began. We also all see the explosions and the dust clouds rising up from the moment the “collapse” begins. We also see smoke, concrete dust, and debris coming out of the sides of the building even before the top moves. So how does that equate to just the bottom 30% being rigged for demolition? Does what he says support the official global collapse theory prior to the bottom 30% of the building? Another thing that has been mentioned by many debunkers already is that Tom really doesn’t offer ANY information about the demolition of buildings that we didn’t already know. Except for the fact that he COMPLETELY AVOIDED THE ISSUE OF DET CORD and he contradicted himself when he claimed that controlled demolition companies don’t use wireless demolition systems when we can clearly see on CDI’s website that they do. Of course this ridiculously scripted “interview” will be passed around the remaining Truth movement while the debunkers laugh at the stupidity of it all. Which of course is the point. Mr. Gage: Take a look around you. Who brought up including Steven for the press conference? Who has been pushing for more inclusion of the “nanothermite” research? Who brought in Dwain Deets and Tom Sullivan? Do yourself a favor Mr. Gage… you had built a reputable organization that was becoming a mainstay of respectability in the Truth movement. What has happened since Gregg Roberts has come on board? Have you ever Googled “Jim Hoffman disinfo agent” before? Do us all a favor… take a close look at the organization you built and ask yourself a few very important questions. I don’t think you need to wait till David Ray Griffin publishes his next book that just happens to be on the subject of cognitive infiltration in the Truth movement to know what I am talking about. Dump Gregg Roberts, Mr. Gage… and start reading from your own script again. Well, that didn’t take long. “Victinox”, AKA Victoria Ashley, has posted up a comment on Blogger suggesting I hate “all” Truth advocates. Quite untrue. I reflect a great deal of respect for Richard Gage in this article and of course I have a lot of respect for the work that David Ray Griffin has done and continues to do. But Victoria Ashley and Jim Hoffman and Gregg Roberts are certainly a different story. Notice how Ashley tries to include “every single person” in the Truth movement as my target… it’s her way of trying to get more people on her side. Also notice how she has the first version of the title in her link… I changed that title almost immediately after I post this to what it is now. How did she see my article so fast? It’s almost as if they are using some kind of scanning service to keep track of what is being discussed about Hoffman and Roberts on the internet. I doubt Ashley reads my site religiously. I wonder how much that costs. She also doesn’t address anything I say in the article, specifically the fact that Sullivan should have mentioned that detcord would not be in the debris because it is a high explosive itself. So maybe she is pissed off because I called out her boyfriend’s silly theory, or maybe she is still on the Gregg Roberts payroll. Hard to say. It’s fascinating that this person claims to support 9/11 truth, but with every new paper, interview or article, he claims every single person is lying, infiltrating, deliberately misrepresenting, etc. Anything he can possibly dig up, no matter how meaningless, he works non-stop to take people down with false accusations. But maybe we should look to be more constructive. Perhaps someone at Blogger would be good enough to take the time to ask Victronix why Sullivan didn’t mention the fact that detcord is packed with high explosives and THAT is why Brent Blanchard’s comment is ridiculous… that is why there wouldn’t be “miles and miles” of it in the debris… because it blew up the floor systems. While they are at it, they could ask Victronix what Sullivan was doing for CDI from July of 2001 till when he quit working for them “after 911″? Did he stay in New York? Perhaps they could then ask why he failed to mention the JL Hudson building demo and the fact that CDI brags about not breaking surrounding windows during the demo? Then lastly I suppose someone could ask why a controlled demolition expert has to read his answers off a script? Who wrote it? Why? This article was originally published by American Everyman. Interesting piece, with information worth pondering. Alas, it sidesteps a fundamental principle of quality work–and courtesy: documentation of attempts to settle this with people involved before publishing, including Richard Gage or AE911Truth. This article would be much more credible if it included a statement that AE911Truth was given a draft to comment on but did not react. Its impact would be better still, had it been buttressed by some Email exchanges with Roberts and Deets that would have given them a chance to respond ahead of the publications of accusations against them. Let us hope that this article somehow gets to AE911Truth and that Deets, Roberts and others have a chance to explain their actions to AE911Truth, at least internally. If AE911Truth would care to respond, it would obviously be better. Let us also hope that in the future Creighton is a bit more thorough and civil before criticizing other truth-seekers. As much as infiltration is a serious danger in any successful 9/11 Truth outfit, compounding it with unneeded harshness on each other, even against suspected infiltrators, is counterproductive. “Cretin! !”, Is that you!!!? WHERE HAVE YOU BEEN! The last we saqw of you you ran and hid under your sweaty cold rock. fatc is, we made the nessesarry corrections needed to keep our credibility. AE911truth is stronger than ever and growing by the second. Hey Scotty, have you done your own tests yet, or are you still wiping the snot from your face? ae911 is a zioturd disiinformaton organization run by khazars Gage and Ryan and Hoffman, no more, no less. they are absolutely mossad. Dr. Steven Jones released peer reviewed papers on the subject of the presence of nanothermitic reactions. That means (to the lay person) that other professionals and professional critics have reviewed the papers and found no basis for rejecting the hypothesis or scientific statements claimed by the paper. Any person who dismisses these papers and their conclusive hypothesis is welcome by the scientific community at whole, to argue an alternative conclusion. Of course and of consequence, no person, organization nor authoritative voice has come forward to challenge the scientific conclusions derived from Dr. Jones’s papers. What does come forward is rhetoric; misleading and biased attacks that bear no warrant for acceptance or rational consideration. The public as a whole must either accept science as a reasonable grounds for description of events (which is done every day without consideration for a majority of everyday events in our lives) or reject these notions. Certainly to reject the conclusions presented by Dr. Jones, would be similar to arguing that the Earth is the center of the universe and all other data proving otherwise is pure fantasy. Wake up America. Sullivan’s statements all make perfect sense, even if the precise techniques used in demolishing all 3 towers isn’t precisely known. His assumptions are well withing the realm of possibility as is his ability to offer sound judgement. Marvin Bush and Paul Bremer had close ties to companies involved in thermite and heavy industrial applications, and I don’t doubt for a moment that techniques using something along the lines of thermitic reactions as a means of demolition is within the realm of possibility. Not at all a convincing argument against Sullivan’s presentation. Sullivan was a proven CDI employee, and expert in the topic of demolition. Wireless detonators absolutely destroy the argument that detcord would be found all over the site. Furthermore, the site was not open to materials investigations and the steel was quarantined and destroyed before private analysis occurred. The detcord necessity claim is not valid and Sullivan pointed that out. Also, Sullivan was referring to the consumption of explosive casings after ignition. This is a well known fact. He was not addressing any claim of residues. I am not a professional in the area of demolition, and it is clear to me that explosive charges were used to soften the structure as reported by firefighters arriving on scene who reported large explosions before the 1st plane hit and regularly afterward in the intermediate floors. I was an active participant who donated to AE911 and attended many AE911 and TAP events. There is something wrong with this group — I cannot exactly put my finger on it. I supported AE911 as someone who lived in NYC on 9/11. I would like nothing more than to see a legal case with enough evidence that it results in the arrest of those within the US who were either behind 9/11 and/or who failed in their duties on that day. As far as I can tell, AE911 has decent evidence regarding thermite and building 7. That is not what I am pointing to. My main issue with this group is that there is a problem with some of the most active members of this organization. They have openly chased decent participants out of the group. They appear devoted to 9/11 justice but behind the scenes they are hostile, harassing, spreading immature rumors, and deliberately deterring very credible people from becoming active in TAP events. TAP pretends to be different from AE911, but it is the same group of people with the same activities. Several members of AE911 and TAP have been reported to have harassed sincere, credible 9/11 activists in order to get them to leave the group. Yet, they do not bother the offensive or belligerent people who are involved, and they have no problem maintaining good relations with people who have no credibility in public outreach. It is the talented person with credibility and public appeal that they covertly target to push away from the organization. Two members of TAP literally stalked a female friend a mine. She was hit on by three different male members of AE911 at different times. One of them seems to have placed malware on her cell phone and called her to tell her where she was when she drove back from an AE911 event. Someone else called her repeatedly in the middle of the night, telling her that they received her phone number on an index card under a hotel room door. Also there is the mysterious death of the organizer Jim Swartz in Chicago. I hope this organization cleans up its act. They are the most promninent and organized group in the world dealing with 9/11 and the NWO.